An expert in lead generation, Fareeda has launched a number of products and services and setup marketing departments for a number of organisations. She is an energetic marketer with extensive experience in various sectors including Insurance, Hospitality, Property, Finance, Mortgages, IT, Telecoms, Energy, Manufacturing and Legal. Fareeda has worked with a number of familiar brands and SMEs, utilising the full marketing mix to help businesses grow. 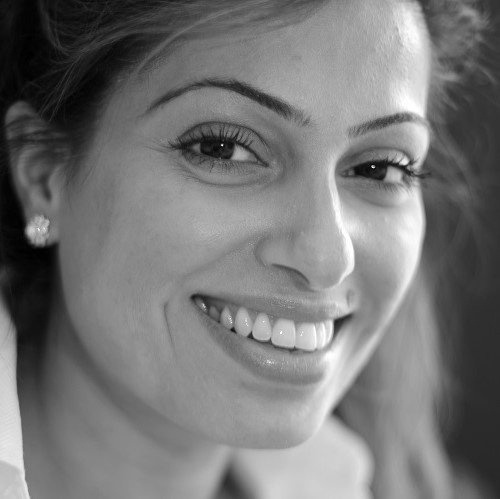 Fareeda enjoys challenging the norm, but takes her time to understand current processes and practices before suggesting new approaches. With a reputation for pushing the boundaries, Fareeda is focused on making improvements to ROI and the P&L, without compromising the customer experience. Attained DMA accreditation for FRJ Solutions in 2016 with steady business growth - 350% YOY growth. Developed new B2B finance proposition with partner PCWorld to take across Europe. Involved a detailed business case and gaining senior management buy-in with hands-on roll-out across Europe. Consistently delivered 105% of volume and income targets in the asset finance sector. Successfully launched a series of insurance and mortgage products with above average conversions achieving 70% income growth on insurance products with above average 34% conversion rates. Launched a series of FS products – offset, B2L, Equity release, Property ‘armchair’ investment. Also involvement in the launch of prepaid cards to key markets such as online gaming. Gaining buy-in for a technology product to reduce promotional time to market thereby improving create and improve MI dashboards for senior management and ROI. Business case savings of £2m pa.
Marketing Essentials – How Many Are You Doing?